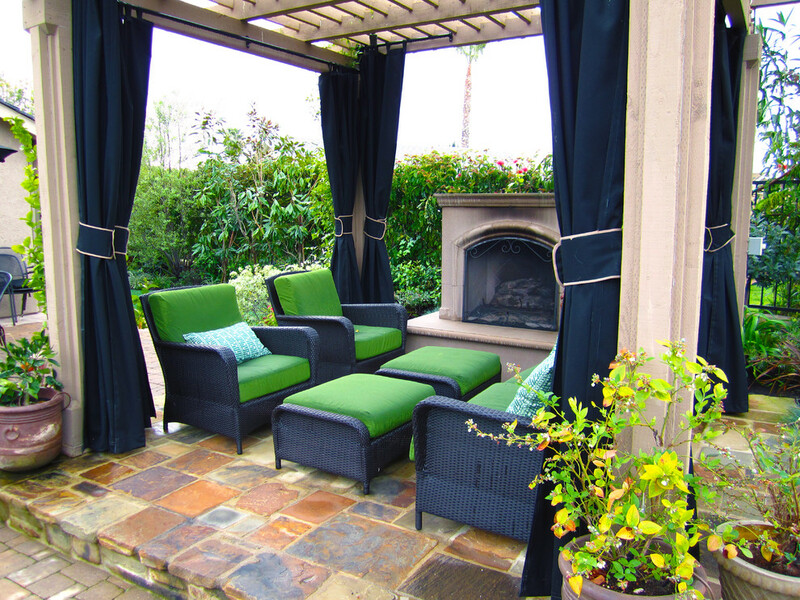 Traditional rustic design elements with overlooking the Mission Viejo valley. 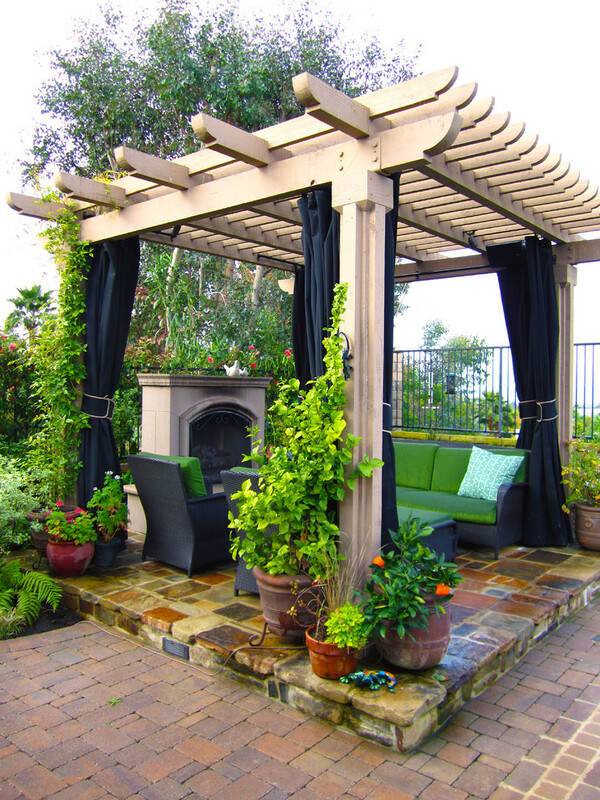 A wood pergola with the amenities of a living room including outdoor curtains, sofa and a stone fireplace. Raised spa spills into a the pool through a natural ledger stone opening. 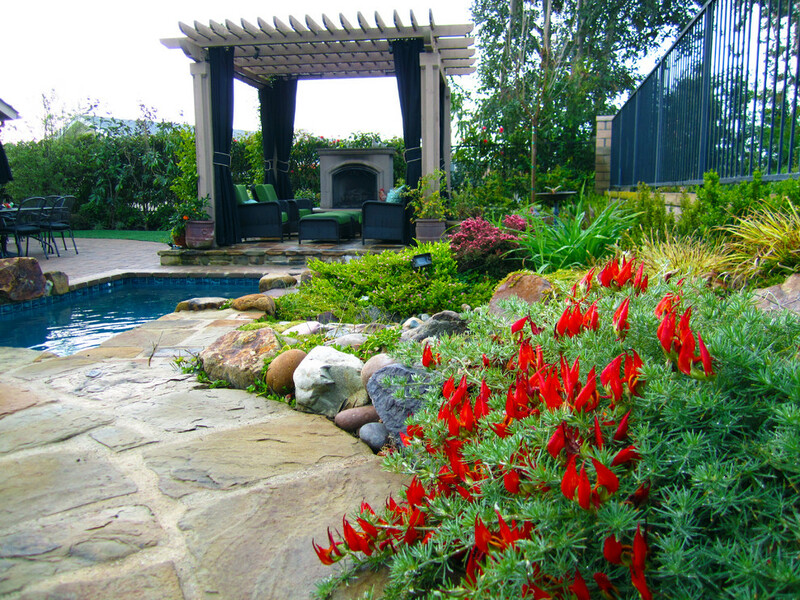 Pool deck with permeable tumbled pavers. 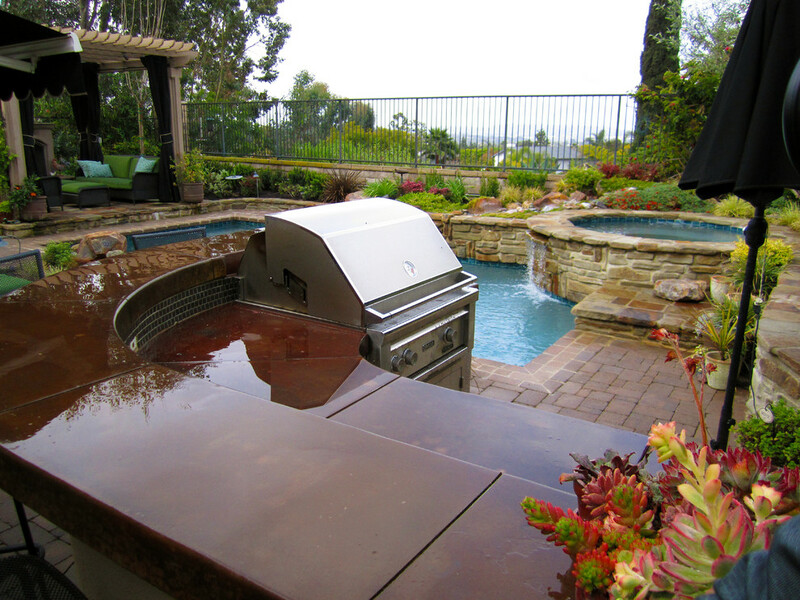 BBQ center with a poured in place polished concrete countertop with elevated bar top.